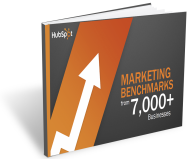 The more inbound marketing statistics you understand, the better! This may sound like a relatively easy question to answer but lets investigate it anyway. It may shed some light on the foundation of your inbound marketing components. Statistics can generally tell us what is happening within any project that is of interest. It is more formally defined as the mathematical body of science that pertains to collection, analysis and interpretation of data. This is a very broad definition but if you are here, reading this blog, it is safe to assume that we are interested in inbound marketing statistics specifically. Use this button to download a free report that provides in great detail, some of the most important inbound marketing statistics you need to have the strongest of foundations. I have been developing inbound marketing projects and reading inbound marketing statistics for more than 14 years now. My job on this blog is to help you sort through the hundreds of statistics and other raw data that can help you understand and accurately evaluate your internet marketing efforts. Now, maybe it's obvious to you, maybe it's not, but to display each and every configuration of inbound marketing statistics that are available to you would take more than a 600 word blog post. There are books and volumes of books on this subject. Therefore, this blog post will be devoted to simply listing some of the various, foundational inbound marketing statistics that are not only available to you but that are also important to your evaluation of your own website marketing efforts. The first thing you have to recognize is the specific application you are using or the application you would like to use. For example, Google Analytics is one of the more popular tools for generating and evaluating internet activity and your own inbound marketing statistics. In fact, if you do choose Google Analytics as your tool of measurement, there are countless books, manuals and guides to help you do this well. I will go one step further and actually recommend Google Analytics if you are still in the decision phase because Google Analytics can provide you every possible combination of inbound marketing statistics to help you succeed. Below I have listed some of the high level statistics, their meaning and an example of why this statistic could be important to your marketing strategy and success. By high level I only mean top level and not extremely complex metrics like the ones you will face as you drive deeper into the analysis process. In fact, the inbound marketing statistics listed below are the metrics that should be examed first, and are a visual to the foundation of your internet marketing activities. You will also have to consider these inbound marketing statistics as they apply to a B2B operation or a B2C operation. We will leave that up to you. Website Traffic: The impact of website content on your level of traffic. Companies with 51 to 100 pages of content generate 48% more traffic than companies with 50 pages or less. New Website Traffic: The impact your website content has on attracting new visitors. Companies with 100 to 200 pages generate 2.5 times the amount of leads than companies with 50 or fewer pages. Landing Pages: How many landing pages do I need to increase leads? Companies see a 55% increase in leads when increasing landing pages from 10 to 15. Blog Posting: What impact does your blogging activity have on traffic and leads? Companies that post a new blog 15 or more times a month experience 5X the traffic that companies that don't blog. Social Media Impact: How will increased social media activity affect my traffic and leads? Companies with 50 to 100 followers generate 106% more traffic than those with none. Companies see a 185% increase in traffic after exceeding 1000 Facebook "likes". However, the statistics I outlined first can be most important if you are unaware of how primary web pages, new web pages, landing pages, blog pages and social media effect the bigger aspects of your business success. If you don't understand which inbound marketing components will have the greatest effect and therefore where much of your attention must lie, the more focused inbound marketing statistics will not help you succeed nearly as much. To understand more about how and where we got these inbound marketing statistics, you can download this free report. Once you better understand the pillars of inbound marketing like individual web pages, blog posts and social media, you will be in a better position to create the strategy that will extract the most business success in the form of communication, solutions to challenges and becoming the authority in your industry. As this unfolds, a tool like Google Analytics will make more sense and become more useful.